These mitts are so much FUN to make, you’ll be wanting to create one in every color (and stripes)! Quick to make, you'll soon have these in every color! Follow the step-by-step instructions to create your own stack of EasyFit Mitts! Using stitches you know already, I guide you through making sure your gloves fit YOUR hands. Full written and pictorial instructions included so that you will successfully create the EasyFit Fingered Gloves for you and your loved ones. 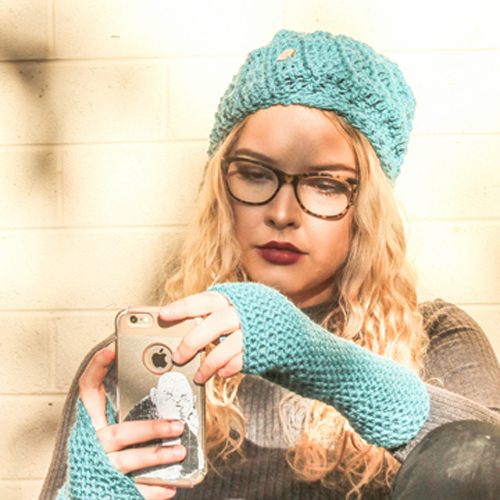 The EasyFit Mitts Crochet Pattern has been tested by independent crocheters (some of their amateur photos are in the gallery). EasyFit Mitts Crochet Pattern is written in standard American terms with step-by-step instructions and photos to help guide your hook to completion. Crochet Hook: 5mm (H) – or size needed to achieve gauge.